Trying to push on with my next task: An open letter to Pakistan's likely forthcoming prime minister Imran Khan. The last time we met was in Gaddafi cricket stadium Lahore when India beat Pakistan to win the one day (5 match) series in 2004. He was working as a commentator while I was covering the series as a journalist for a British weekly newspaper. We live in a territory which is constitutionally ambiguous as well as a conflict zone. Both these characteristics were imposed from outside and have endured for almost 71 years. Though the official title of this territory is Azad Jammu & Kashmir (AJK) which translates to ‘The free part of the State of Jammu & Kashmir’, the only freedom available here is that which associates with no responsibility. The point of addressing this letter to your country is to alert you to the personal quest of Mahmood Ahmed Musafir who has been a public rights activist in AJK for the past 34 years (since 1984). Every year he has conducted various creative activities to highlight prevailing issues in public interest throughout AJK. In the particular context of this letter, he has tried to convince the AJK government to invest in alternative electricity generation from wind and mechanical power, not least to resolve the persistent shortage of electricity in AJK and Pakistan. As you will no doubt understand from the details below, there has been no will shown by the government of AJK or the State of Pakistan to pay due attention to what he has to offer. Hence, as he’s entering the twilight of his life he wishes for some thoughtful country to provide him the necessary environment, whereby he could utilise his skills to create alternative power generation. He would concentrate on wind and mechanical power without resorting to established methods such as water, diesel, petrol, gas, kerosene/paraffin, coal, solar power, atomic power, dry battery, sea waves and waste/rubbish. The local government of AJK did engage with him on a couple of occasions but they expressed their helplessness, on account of all crucial powers vesting with the State of Pakistan. In between, they tried their best to avoid having to sit and talk with him. In summary, the example of Mahmood Ahmed is not so unique, given the status of our territory. Anybody who has talent in any particular field is not able to develop themselves in a territory operating under constitutional ambiguity along with 2 neighbours fiercely contesting it, thus converting it into a conflict zone. As yet, there is no scope for genuine democracy, governance or human progress here in AJK. We hope your country can provide a convenient environment for him to proceed in his pursuit to serve humanity, by assisting him to develop alternative energy via wind and mechanical power. A technology that our region can so desperately do with but where the structure of governance provides no scope for such endeavour, rather all they can do is to inhibit it. Notice that I haven't used my name or that of AJK Public Agency. This was at the specific request of Mahmood Sb. I will deal with this strategy or thought process in due course. Today has been a productive day, though it would have been far more productive if only the internet speed was at a level most of the 'connected world' is accustomed to. I have been trying to upload a 500MB file since about this time yesterday, it is still 6% away from completion. Navigating various websites is tedious as they don't open on demand, rather one has to click multiple times over a period of time to try and get access to bandwith, deliberately in short supply. However, that is only one of the many structured/habitual hindrances that one encounters on a daily basis. AJK is a deep black hole and our society has traditionally navigated around our problems rather than confront them directly. That has always seemed to be the pragmatic option but over time it has made our collective plight more acute. Those of us who do confront our problems directly are not supported adequately by the rest. I think it's high time that I begin giving a more detailed description of how tough life is in AJK. The intention is not to gain sympathy so that my co-citizens have mercy on my condition and neither is it my intention to vilify anybody to satisfy my ego. Rather the intention is to make my co-citizens understand that we continue to make all those micro-errors in our quest for justice, just as we have been doing for the past 71 years. There will always be self-less and committed people to fight for our collective rights but we won't achieve success unless a critical mass of us observe due diligence of those fighting our corner and devote (or divert) resources to their struggle according to our capacity. One must always introspect, protect the people's emotions while gently trying to cajole them to do their bit to further public interest. For the past few months, I have tried my best to avoid encountering cash as much as possible. As I have been relying on the public at large to support and sustain my efforts in public interest, social experimentation to avoid the use of cash (or in a practical sense - to minimise its use) does help me simplify my life. The less accounting that I have to do, the more I can concentrate on the work at hand. This also means that I have now gradually got used to just eating one meal a day, cut down drastically on cigarettes and thus created more time to deal with the increasing amount of tasks, either set out for me or which I deem to merit attention. Another day, another task in public interest. They don't diminish by the day, they only increase. The time that is at our disposal cannot be measured, as who knows how long one is going to live. An extra task emerged today from a suggestion from the AJK diaspora, to write an open letter to Pakistan's incoming prime minister, putting our relationship with that country into sharp context. It hasn't been drafted yet but I'm working on it. 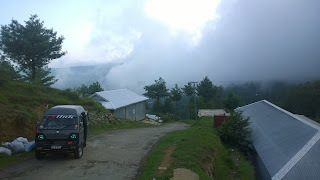 I have finally managed to write up a detailed version of what I describe as AJK Public Agency. Though I completed it a couple of days ago - this task was pending since November last year (2017) - it was published today at Portmir.org.uk under the title "Reclaiming Azad Jammu Kashmir For Her People"
A lot has happened in the neighbourhood since the last time I blogged. I visited Rawalakot District Courts after many a day (over 2 weeks at least) yesterday. There are no lawyers in sight, public is sparse and there are no journalists around either. After a few minutes it dawns on me that today is 'General' election day in Pakistan. Why is there a holiday in AJK though? I say modest surprise because having kept my front windows permanently open for many years (even in public places around the clock), I knew at some point that something would be planted in my vehicle. Alas! it was an empty bottle and though the local police were alerted to its presence, local public agency was there to intervene in my absence (and without feeling the need to alert me) and the conspiracy could not develop. At this stage, we can only speculate as to who might have placed it there and what for purpose, if any at all. The clandestine agencies of our neighbouring country are always - on account of their track record in this territory - prime suspect. However, without comprehensive proof it would be folly to point a finger in their direction. The other prevalent theory is that our courts in AJK (and not just Rawalakot) have a certain tendency to consume liquid in its bitter intoxicating form. Someone of that ilk may have found it convenient to leave an empty there in me vehicle. 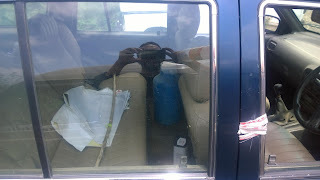 It should be stated that according to various members of the local public here, such empty bottles have been regularly found in the vicinity of the courts. Some months ago, locals had even considered launching a public campaign against this activity. "Congratulations to PTI for emerging as a third political force in Pakistan. We hope our neighbouring country will emerge out of the multitude of challenges facing it. 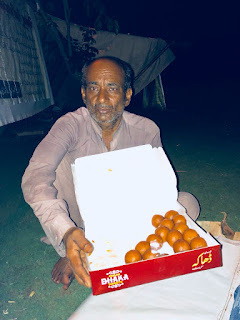 I wish to distribute sweets to my Pakistani neighbours on this occasion." Mahmood Ahmed Musafir - on his 73rd day of a hunger strike outside Islamabad Press Club. "We would like to be the first country in the world to invite the new Pakistani prime minister to our territory for unconditional and insightful talks on the future relationship between AJK and Pakistan." Tanveer Ahmed - in Rawalakot having witnessed the longest blackout of electricity in recent times (c. 23 hours - between 3pm yesterday 25/07/18 and 2pm today 26/07/18). Not for the first time, I have missed out on posting a blog entry for the previous day (in this case Day 204), purely on account of a dismal net service that took over 2 hours to navigate me to this page. In AJK, we take the absence of governance on the chin every day. We also spend most of every day working for our public without any expectation of financial reward. Thirteen years ago, I wouldn't have thought I was capable of such an approach but we plug on, dig in and remain confident that the people of this territory will succeed - sooner or later - in our collective ambition to gain recognition in the comity of nations. There appears no other means of establishing a system of governance here. Without governance, the human tragedies that have multiplied and rippled throughout our public space cannot be averted. We remain in gestation mode but........will emerge much stronger when our time arrives. ...the whole of the machinery for settling disputes hanging in the air. Here in AJK, we are suffering from that legacy which the United Kingdom of today consistently absolves itself of any responsibility to address. Leaving us at the mercy of a Pakistan that has yet to invest in the art of governance after more than 70 years. Having generated so much data over the years without organising or categorising it except marking each item by the dates on which each piece of audio, text, video or photo was created; means that I have to spend a lot of time just sifting through gigabyte (GB) after gigabyte of data to extract the pearls of wisdom that need to be analysed and published in public interest. This takes days followed by weeks and months before one can publish something comprehensive and representative of the people's aspirations. It is fortunate that I spent the winter of 2016 and the spring of 2017 sifting through all relevant data for the Citizen Public Opinion Survey Report - AJK , a summary of which was published on July the 13th last year. Now, I don't have that much to do to produce the detailed academic version of the report which I'm hoping to publish in a recognised academic journal soon. That still leaves me with a substantial amount of data that I need to organise otherwise, not least to make sense of my work for our public (of AJK) as well as for the rest of the world in general. As intimated in an earlier blog entry, not a day passes when some issue or the other related to governance is brought to my attention with an appeal for help. For example, I received a call today from an employee of the Population Welfare Department who along with over a hundred colleagues of his hasn't been paid for over a year. In another example, a co-citizen expressed his anguish over his cousin being stranded in Cyprus and who wanted to confirm whether that country was a part of Europe (or rather the EU). Meanwhile, in Pakistan (with a general election campaign in full swing) it appears that the 'chickens are coming home to roost' vis a vis Pakistan's military and its agencies. Western publications including the Financial Times and the Wall Street Journal raise important questions about the Pakistani military's alleged role in orchestrating the upcoming result on the 25th. The terms pro-life and counter-terrorism strategy should become synonymous in our journey towards fulfillment of agency, autonomy and transformation in AJK. We say this despite operating in a virtual minefield where everything from where and how we live, to what we eat and drink, to how and where we travel to counters obstacles and inhumanity at every juncture. One couldn't have wished for a more daunting challenge even if it was totally imagined. This is as real as reality can be and there can be nothing more cruel or harsh than having no direct access to the outside world in this day and age. Today has been devoted to understanding the anxieties and prevailing issues that our diaspora in the UK feel a need to counter, in their belated journey to identity > agency > autonomy (in its purest sense) > transformation. 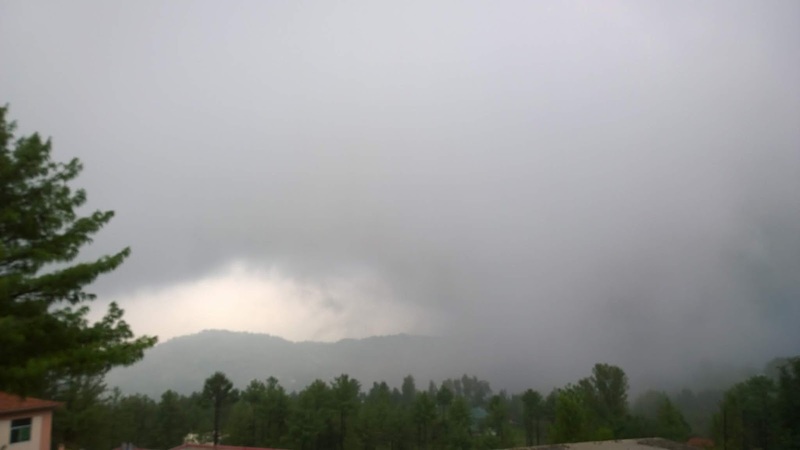 Though I am well settled in the clouds of Rawalakot while I try and devote most if not all my time to preparing a thorough academic version of the Citizen Public Opinion Survey - AJK , not a day passes when an example or two of mis-governance in AJK comes to my notice. Issues related to the absence of merit in government job vacancies is particularly common. I have always felt that the absence of meritocracy, accountability and transparency in governance here will drive our people mad at some stage. Most people have thus far been pragmatic by by-passing this inhumane structure and venturing out to any part of the world that will provide them economic opportunity. Further to our letter of 19th June to you, this is a reminder as well as a request for an appointment for our representative to visit you at your head office in Islamabad. We were informed through our representative that the alternative address given over the phone was also not accessible. 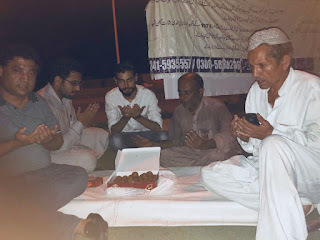 Given the serious nature of Mahmood Ahmed Musafir's plight - he is now into his 66th day of a hunger strike outside Islamabad Press Club - and the very limited options he has available to resolve his quest for a system of governance in AJK, we would humbly request that you grant some time to our representative namely Muhammed Haroon to discuss the nuances of this unusual case and try and find a practical resolution to Mahmood's dilemma. In the interim, Mahmood Ahmed Musafir has continued seeking institutional means to resolve his demands in public interest. For example, he contacted the Ministry of Human Rights (a federal government agency in Pakistan) yesterday on the number 051 9221704 at 1236hrs in an effort to put forward his case. However, the response he received was cold and the suggestion the person at the other end of the line gave him was, "Do whatever you want - If you die, who cares? If you survive, you'll end up in jail." It should also be clear that in all these 66 days thus far, the government of Pakistan has not as much as enquired about his condition (of health) or his demands (in public interest). As for the possibility of Mahmood travelling to another country to make an application for refugee status, it is unlikely that he would be able to obtain a travel document given that during his 34 years of working in pursuit of public interest in AJK, the local authorities had declared him insane on account of his efforts on a number of occasions. For example, on the 21st of April 1996, when Mahmood had begun a hunger strike outside the President's house in Muzaffarabad (the capital of AJK), he was arrested at 10pm by the local police and the then ASI (Assistant Sub-Inspector) at Jalalabad Chowki (Police check-post) Sultan Awan had declared him insane and capable of doing anything. Indeed, these were the words put to the then senior sub-judge Bashir Ahmed Mughal in court the next morning. After a further 2 days in custody, Mahmood Ahmed Musafir was released without bail. Hence, our request for a formal meeting in person between the head of UNHCR in Pakistan and our representative Muhammed Haroon (on behalf of Mahmood Ahmed Musafir) at your head office in Islamabad in the coming days. If, as the premier forum in the world, the UN (via its organs) is unable to assist Mahmood Ahmed Musafir in his 'pro-life' campaign and if their stance is practically similar to what the AJK Government and the Pakistani Government has displayed thus far, then in Mahmood's opinion this would be tantamount to a global conspiracy against the development of this region. Certainly the longest break - 11 days without daily blogging - so far and hardly warranted I should add. We made our first query with respect to AJK being added - as a contender to the qualifying groups from Asia for FIFA World Cup 2022 in Qatar.....while watching the energetic Croatians pile pressure on the French defence during the first half of Sunday's final. Croatia's population is c. 4 million. Ours could well be above 5 million especially when we add the diaspora. Our territory boasts having it's own prime minister, president, supreme court and constitution with a clearly defined territory including an over 1 million strong diaspora in the developed world. The past 30 hours have been a whirlwind of travel involving a 50 kilometre walk from Rawalakot to Sehnsa yesterday evening (the remainder of this 6 and a half hour journey was completed by hitching an assortment of lifts from my co-citizens). Then from Sehnsa to Mirpur this morning and onto Dadyaal in a hired vehicle. It is only this evening that I managed to get about 4 hours of much needed sleep. Tomorrow is another hectic day of travelling, though the blisters on my feet will ensure that walking will be kept to a minimum. A Red Letter day in Rawalakot, almost as late as a Belgian winner...it did seem at times. The following is an insight into another aspect of my typical day. I'm sure some of it may seem cryptic but I can assure you it's all part of an organised whole. Said someone in a particular context...though some (or many) may argue it to be a universal truth. Culture and political history of Kashmir. The legacy of Kashmir, Ladakh & Skardu / by Arthur Neve. How a mission began in Cashmere / by F.H.T. Ho¨ppner. However, neither country was in the least bit interested in referring the national question of Jammu and Kashmir to the people of the territory (unless either was convinced that the majority of people sided with their respective claim). The internet service we normally use had gone AWOL. The local cable TV network's service was also absent today and thus we missed out on being able to watch today's FIFA World Cup fixtures. It is always frustrating when you can't access a service that you pay for. The frustration transforms into angst considering that we are paying taxes for these services - that we don't always get when we need them - to a country that is not accountable to us in any way. That is just one aspect of the many examples of inhumanity we confront on a daily basis in AJK.